KNOTTY - Knotted to Perfection, Buckled with Precision! We want to capture the connection between what you wear, why you wear and how you wear. Our line of Patented Waist Belts, Finger Belts, Hand Bags, Innovative Belt Buckles concepts are made to help you develop and achieve your own unique and individual style. If you don't smile when you see, touch, use, or wear our belts then we have not achieved our goal. ''A Bohemian Beauty for Sure''. No buckle! Just Loop.. Twist.. Tie & Go.. Ideal for Travelling or Party Wear..
Our unique concept of Innovative Seamless, Innovative Buckle & Buckle-less, designs for Belts & Bags philosophy can be simply summarized as aesthetic beauty with functional utility. Adding a new line of accessory of Finger Belts to the line of KNOTTY Belts, Bags & Bracelets levels up further more than just an ordinary product but standing out as a new fashion statement..
NO BUCKLE! Concept prevails even in the line of Knotty Bags & Bracelets! Why Impact Guru..? Because we dream about establishing a new brand in great quality for both men and women. We have a Patent Designs, Prototypes and most of all a family owned company Kings International Ltd, manufacturing and exporting of since 35 years. Kings International Ltd is Government of India Recognized Export House and have been certified ISO 9002 certified company for Quality Management System. ISO 14001 accredited company for Environmental Management System. OHSAS 18001 certified company for Occupational Health & Safety Management System. Company with no child labour. A state-of-the-art-technology tannery deploying Eco-friendly tanning process. A modern, purpose-built, mechanized Saddlery/Belt making facility. Received awards and recognition for outstanding exports performances. Awarded Best Tannery of Asia Pacific 2016 in Hong Kong. The leather triggers multiple human senses and strikes an undeniably satisfying primal chord in everyone. Reverence of a well worn leather good is an inexplicable phenomenon of human nature that our products aspire to earn after years of use. Knotty, is an upcoming brand from India. We have companies who want us to sell our creativity, trademarked and patented designs to their brand but, we strongly believe that Knotty has a lot of potential growth behind it's innovative idea and craftsmanship to stand alone and make it to it's well deserve shelf life. With your help we would be able to open our first outlet in December 2017. A goal is a dream with a deadline. We hope to gain maximum benefits for our first campaign on such a crowd funding platform which is today's easiest and probably the best way to reach the majority of people who support and appreciate New Ideas, Unique Concepts, Designs, Style, Colors, Fashion and Leather.. So, we hope to raise funds from the people around the globe who would like to get a piece of the KNOTTY product by choosing your reward and helping the project move forward making it a SUCCESS. The funds would allow us to firstly, buy the fittings, raw hides then Tan in various colors and finishes offering leather in various finishes and colors. When a product is launched locally or internationally, there is a lot of money that goes into refinement of tooling, injection molds, advertising and infrastructure such as outlet expenses etc. Our KNOTTY products are extra-ordinary that the world has ever seen, heard or felt. So, this what's makes us special and so our patented products. If you like Innovative Design Concepts then KNOTTY is for you. However, in near future the cost of the products would either be lesser or would be in a position to give discount to our first hand customers. But as of now, this is it! Whilst, we prepare our new outlet space and build it as below structured idea and pay the minimum rent of $10,000 (Rs 6 Lakhs and 50 Thousand) per month for a lock-in period of 12 months at a shopping Mall in one of the metropolitan cities Mumbai, New Delhi or Kolkata. The funds would allow our designing team to make further molds and samples to always add something new to the Knotty Collection. We are confident that our production timeline is achievable with having all the other resources such as the Work Force, Machinery, Infrastructure and required essential tools but to open an outlet it costs a lot of money as a continuous recurring expense. Our buckle designer is from outside India and has a good pay check that we need to pay in-order to get our designs right and through which the world is yet to see but, developing cutting edge buckles isn't easy, and it's also very costly/time intensive. Since the start of Knotty, we are only working towards the exclusive designs be it belts, bags, apparels etc. The lead designer and CEO of Knotty! Mr. Saif Taj, has made frequent visits to China in the last 02 years and finally partnered with a Chinese company to get the right resources for Packaging, Apparel line up. He is also in talks with a German company to make exclusive designed buckles for Knotty Bags which the world has ever seen. A large cash outlay is always required to start production. Each of our buckle design would cost between $10,000 - $12,000 including the Molds, CAD Designing/Drawings, Patents which need to be paid and purchased upfront. But of-course, the money has a break up to turn an idea into reality like any other new start-up. The funds will be used wisely to design and make more and more Knotty products range but everything cannot be judged before we finally go into our final round. Our target to reach the goal of $400,000/INR 2,50,00,000 has most of the cost paid to the the Knotty team of Bag & Apparel Designers, German Buckle Designer, German Buckle fitting Company, Photography Models from outside India, Secure Product Patents Worldwide, Rent for 12 months to own an Individual Outlet Space. Some costs have an Initial Investment Cost (IIC) such as Salaries, Raw Material Purchase etc, some against advance payment such as the Outlet Rent, Purchase of CAD Drawings, Molds etc and some have uncertain costs like product photography, advertisement etc. Our aim is to first complete the Rewards for the Backers and later, supply to the masses through Retail outlet. Although, we are all set to launch the all new range of Knotty line for 2017 but, we would further like to do the refinement of tooling. Along with the set-up of our first outlet giving it a Leathery feel from furniture to flooring, making the retail outlet atmosphere suitable and parallel to the Knotty environment. Our shipping partner is DHL for Domestic / TNT for International shipments so, it is not a problem for us to deliver in any part of the world. 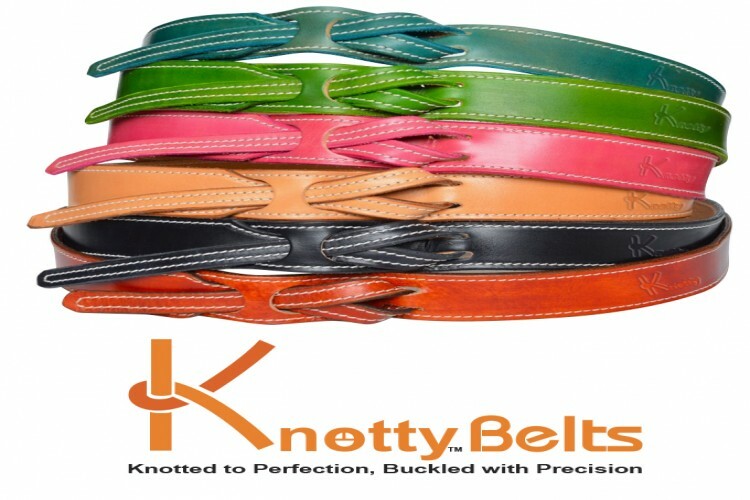 Initially, the Knotty products are available in Black, Brown, Tan, Pink & Blue. We will be adding more color options later in 2018. As of now, all the supporters will be able to choose their color preferences by filling-in the delivery form after the campaign ends. With your help and support, we can finally open an outlet and gradually have a Knotty store in every city of India and hopefully, in other countries as well.. So, please go ahead and select your reward below to support a new line of products and make KNOTTY an International brand. $20 or Less - You are our Star and Foundation of the first Knotty outlet. A THANK YOU note from our whole team for your kind contribution. We will keep you posted on the progress of our first outlet and will send you AN EXCLUSIVE INVITATION upon it's official opening. $50 - You are our Admirer and have just laid a brick of our first Knotty outlet. Get 02 Finger Belts in any of the available colors. One Size Fits All. Shipping Included for Worldwide Delivery. $100 - You are our Icon and have just laid a brick and paste of the first Knotty outlet. Get 02 Finger Belts + 01 Bracelet in any of the available colors. One Size Fits All. Shipping Included for Worldwide Delivery. $150 - You are our Gladiator and have just laid a brick, paste and pillar of the first Knotty outlet. Get 01 Waist Belt in any of the available colors. Shipping Included for Worldwide Delivery. $200 - You are our Pride and have just laid a brick, paste, pillar and floor of our first Knotty outlet. Get 01 Hand Bag in any of the available colors. Shipping Included for Worldwide Delivery. $290 - You are our Shine and have just laid a brick, paste, pillar, floor and board of the first Knotty outlet. Get 02 Finger Belts + 01 Bracelet + 01 Waist Belt. Shipping Included for Worldwide Delivery. $380 - You are our Backbone and have just laid a brick, paste, pillar, floor, board and roof of our first Knotty outlet. Get 02 Finger Belts + 01 Bracelet + 01 Waist Belt + 01 Hand Bag. Shipping Included for Worldwide Delivery. Please Note - The Exchange Rates may vary at the time of payment transaction. USD 1 = 65 INR. So, Don't Be SHY to Get KNOTTY! Your share could be as good as a donation for Basit International! Not everyone can afford to take care of their loved ones. 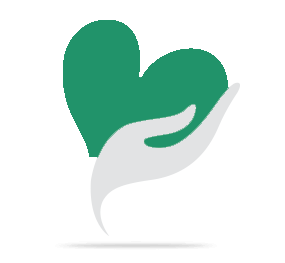 Basit International's life can only be saved by donations made by kind people like you.